Due to the continuous lies told about myself from members of the Potter's House fellowship, I am turning this most popular site into a site exposing the Potter's House. 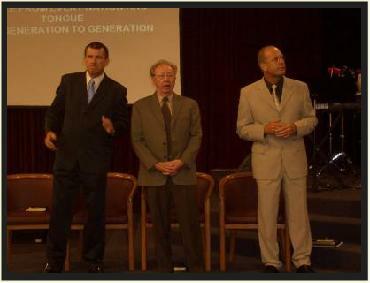 Because of the sinister nature of the church, I must expose Greg Hagenson, who now resides in Geralton and also Grant Huggins who is a latest pastor in Lismore NSW Australia, as liars and slanderers. The Potter's House has two main legalistic issues. Tithing and headship doctrine. 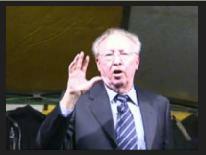 Pastor Wayman Mitchell teaches that you basically have to tithe or else you will go to hell. CFM members are told to submit to their "headship" 100% or else they are in rebellion! So we can see that there is leaven that has leavened the entire lump of CFM. Because I am no longer in CFM I am usually accused of being unsaved, a backslider, a hate filled rebel etc. CFM basically excommunicate people and cut them off totally. I have had multiple accusations made against me and thus why I can no longer remain silent. I plan to make this page filled with information concerning Potter's House doctrines and teaching. I will also be exposing the injustice of many pastors and the careless attitude CFM has for many of its members. This site was formerly a pro-Potter's House site, and many of the articles are still the same. Over time we will change this, and do articles about the group. Why do so many pastors get churned over through the Potter's House? Why does Mitchell have sole authority over all aspects of leadership? Why do men like Paul Stevens in every sermon uplift Mitchell to Guru like status? What will they slander you about when you leave? Why Mitchell's inherited curse teaching is garbage. Why tithing is pure legalism and leavens every PH church causing a split. CFM teaches co-dependency upon headship and other guru like characters. Headship doctrine is for Old Testament Kings, not pastors, why do they lord over people when Jesus clearly taught to serve! Is CFM hyper pro Israel with a typical Fox News last days scenario? Is CFM just another a denomination? What about the TV rules and Cinema restrictions? Why can't you be trusted to watch Bambi? Why is CFM primarily old covenant in their worship, constantly pulling down God, but at the same time, schizophrenically teaching that God is in you? Why do so many leave CFM? Why do people shun backsliders who go on to continue in the things of God? Why is anyone who asks basic questions labelled a rebel? Why the "Pattern" is simply traditions of men and restricts many PH disciples from God's plan for their life. How different is the PH from most other churches, and the foursquare they came out from?